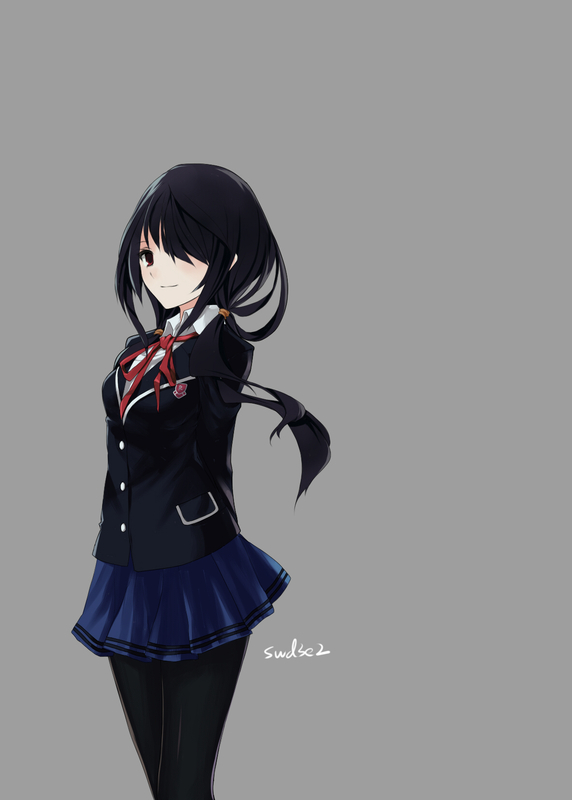 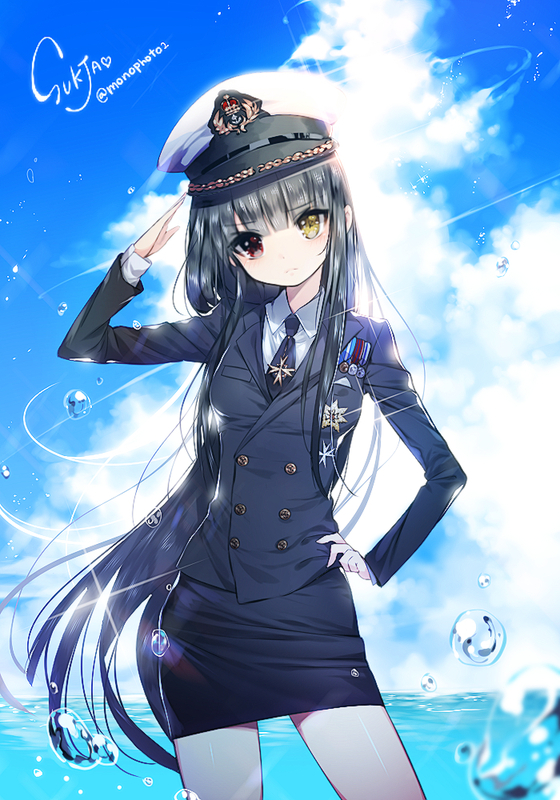 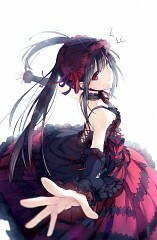 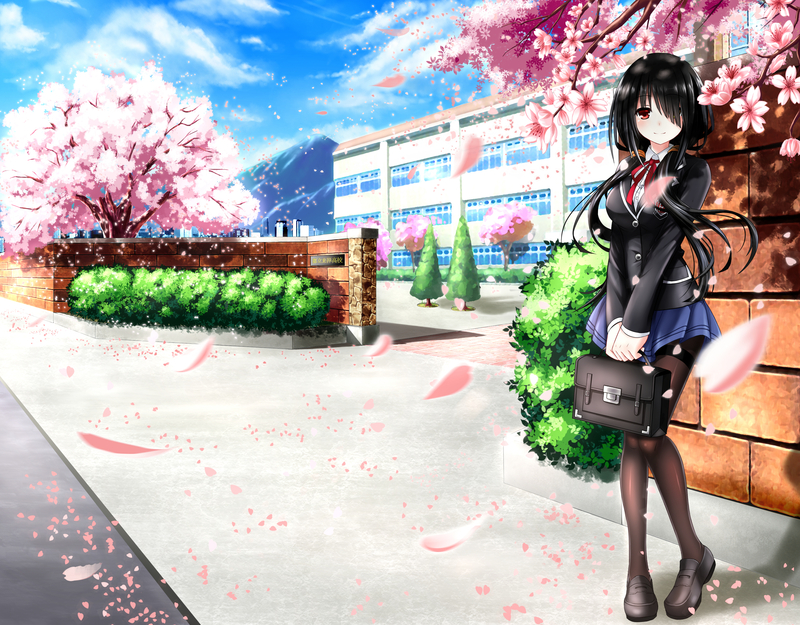 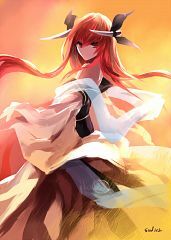 1,572 anime images in gallery. 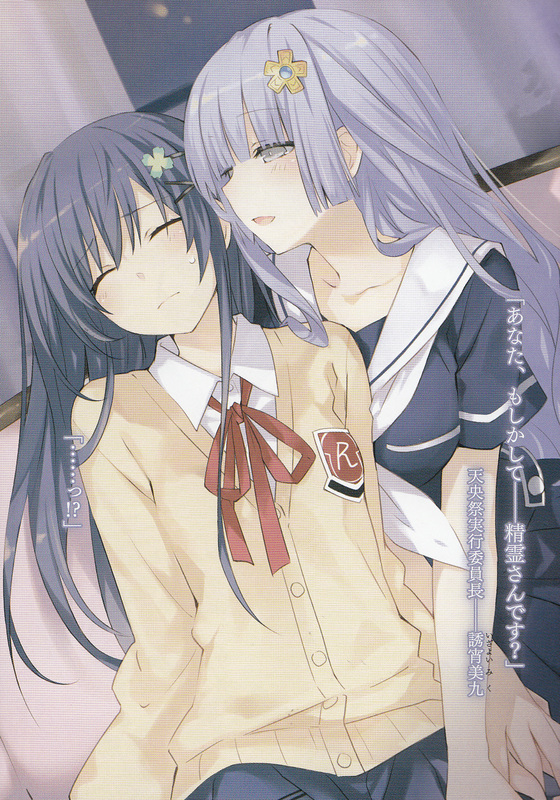 Tagged under J.C.STAFF, Series, Light Novels and Tsunako. 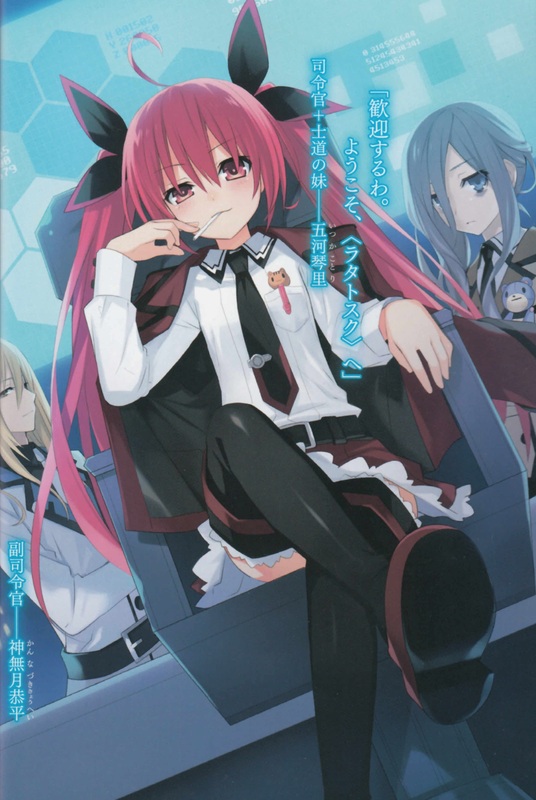 Date A Live (Japanese: デート・ア・ライブ ) is a Japanese light novel series created by Koshi Tachibana and illustrated by Tsunako. 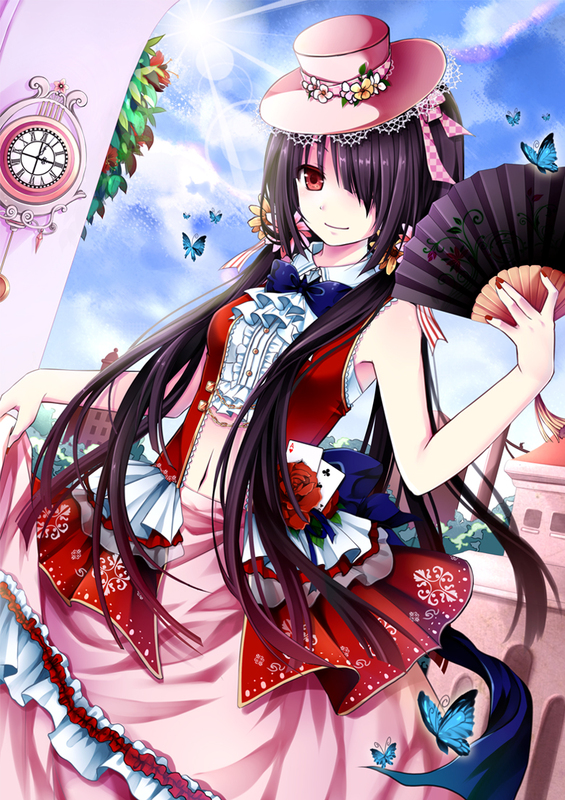 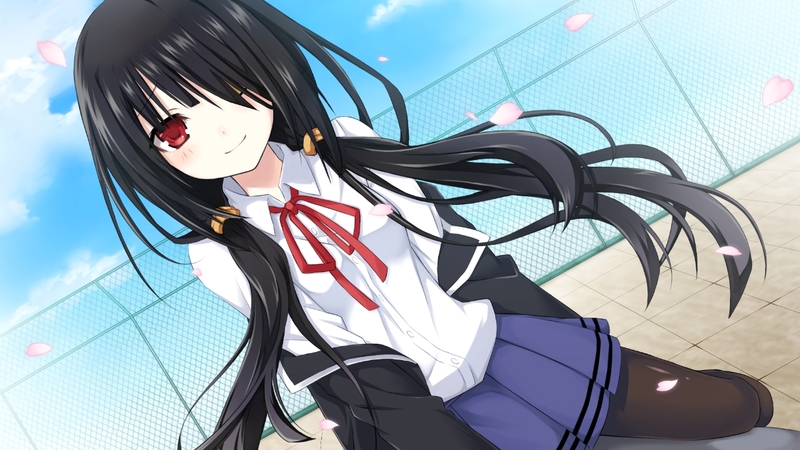 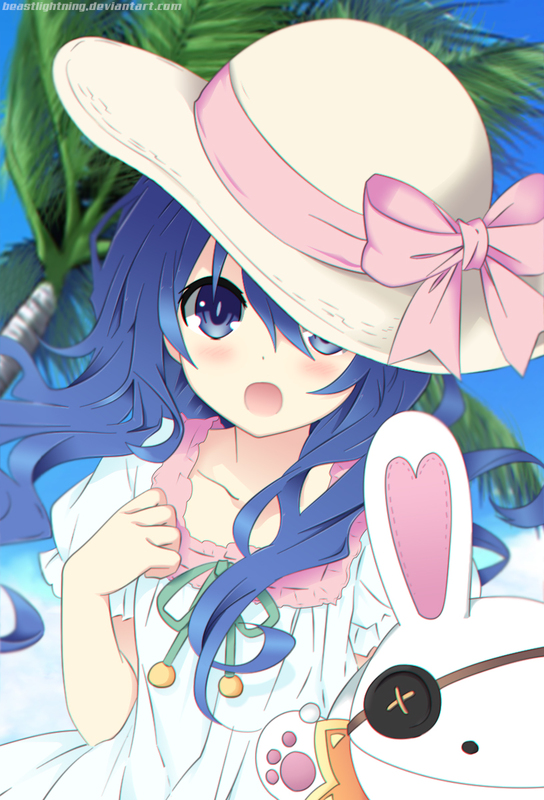 Date A Live is filled with themes of harem, romantic comedy, science and fantasy. 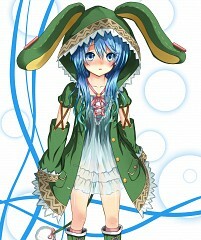 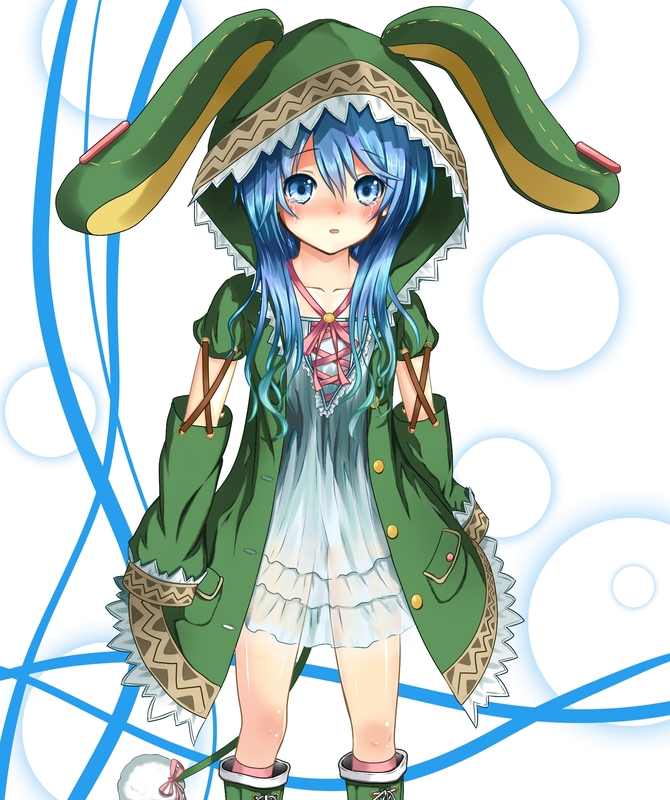 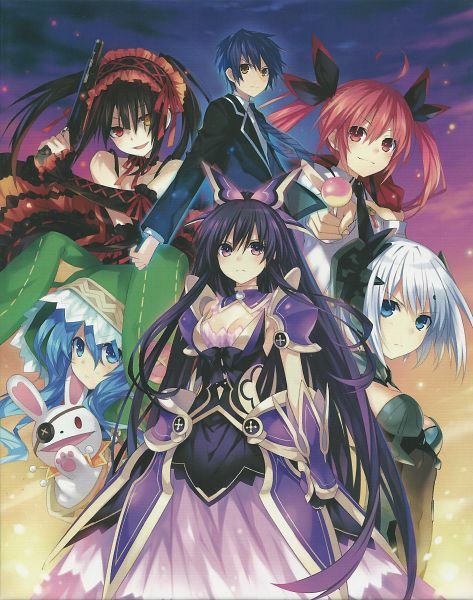 Date A Live is an ongoing novel series which is serialized in Fujimi Shobo’s Dragon magazine since March 2011. 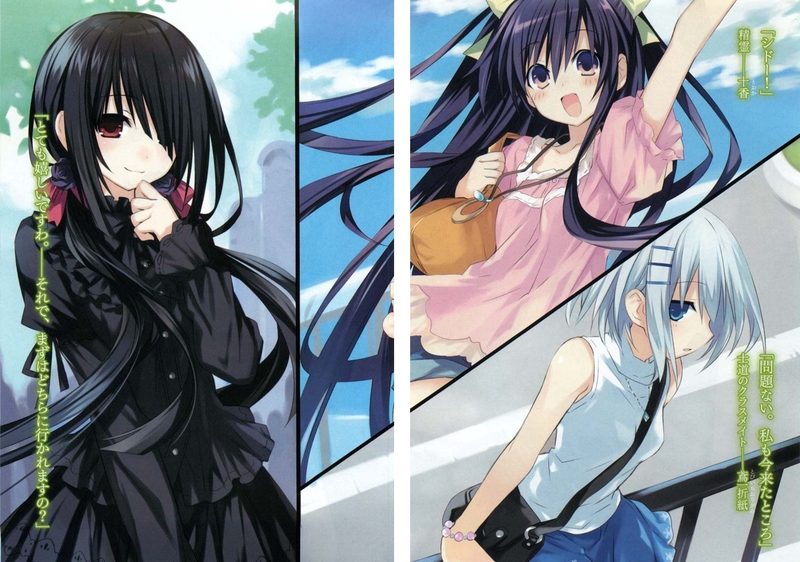 As of today, chapters of Date A Live has been compiled in eleven published volumes. 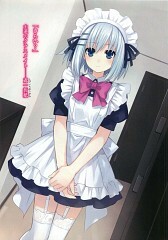 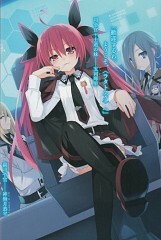 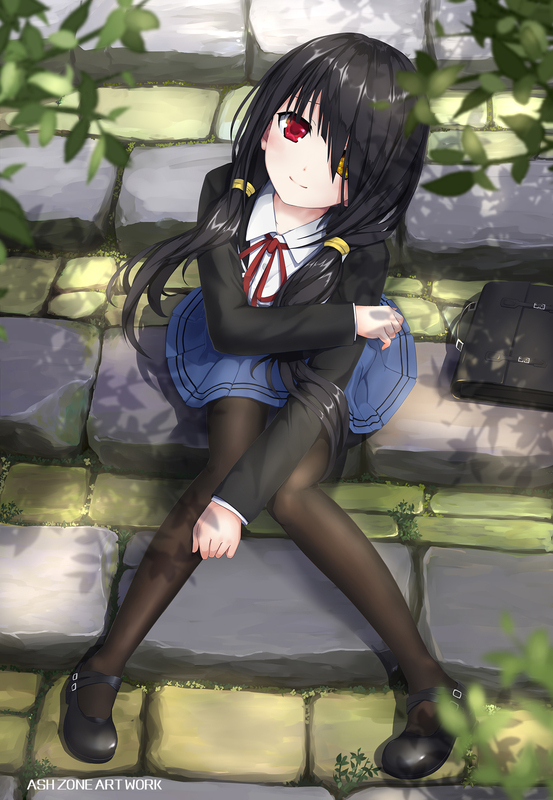 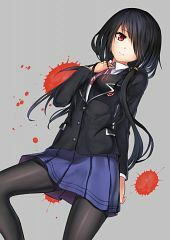 A manga adaptation of Date A Live by Kakashi Oniyazu was published in the Monthly Dragon Age since March 2012. 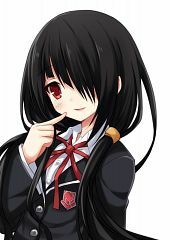 It ended with four published volumes of Date A Live on December 2013. AIC PLUS+ Studios produced the anime adaptation of Date A Live together with Director Keitaro Motonaga. 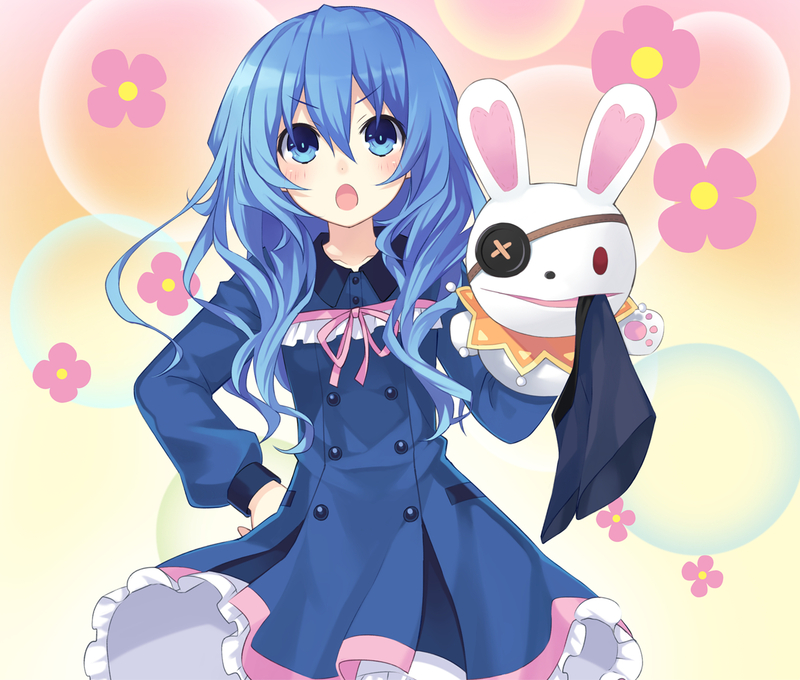 Date A Live was licensed by Madman Entertainment and Funimation Studios for a North American release. Date A Live premiered on Tokyo MX, AT-X and TwellV on March 2013. 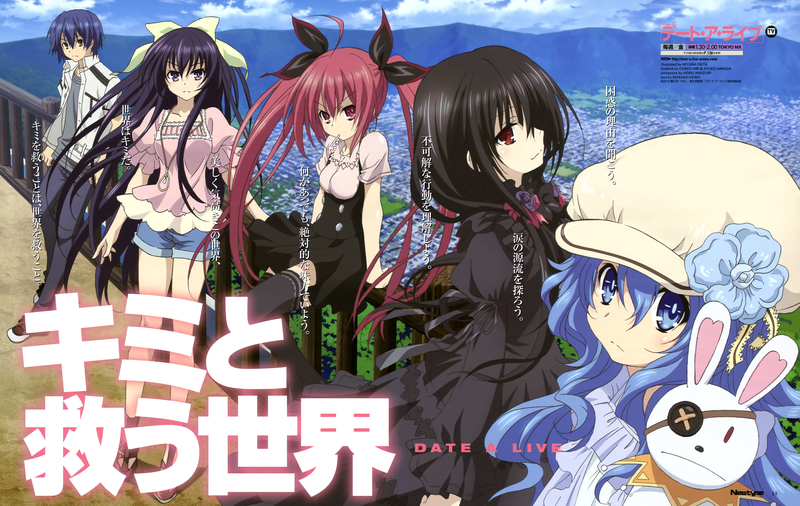 Date A Live briefly ended its run on June 2013 with 12 fun-filled episodes. 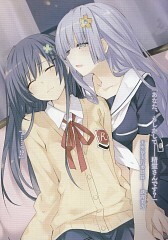 Production IMS worked on the sequel to the original series together with Keitaro Motonaga (director) and Hideki Shirane (writer). 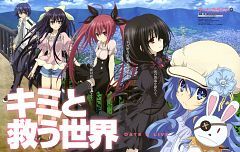 Date A Live II premiered on Tokyo MX and AT-X on April 2014 and was scheduled for 10 fun-filled episodes which ended on June of the same year. 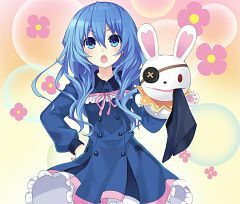 Several games from Compile Heart and Sting were released for the PlayStation 3 and PlayStation Vita. 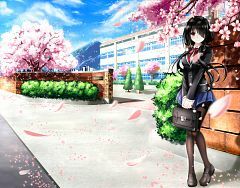 "Thirty years ago, a strange phenoma later known as the “great spatial quake” devastated the entire Eurasia and claimed the lives of approximately 150 million people. 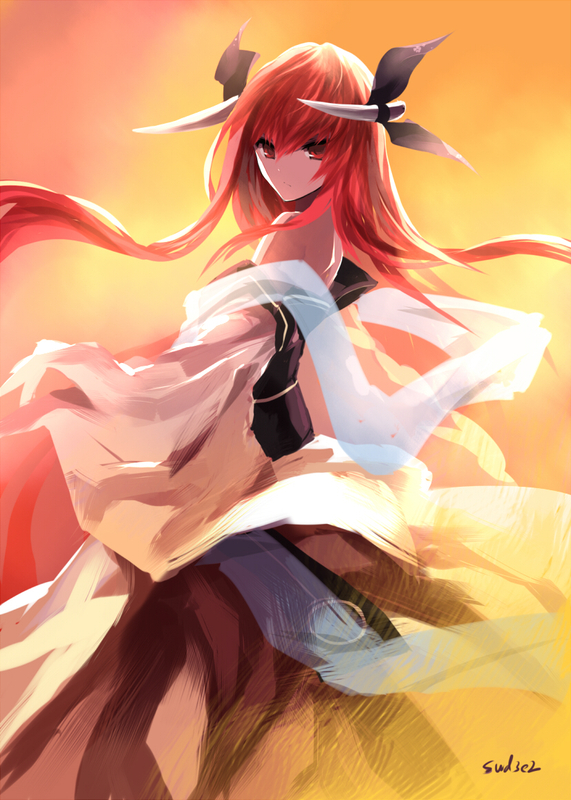 Since then, smaller spatial quakes have plagued the rest of the world on a rather irregular basis. Shido Itsuka, a seemingly average teenage boy, bumps into a girl clad in armor just after an explosion destroys the town. 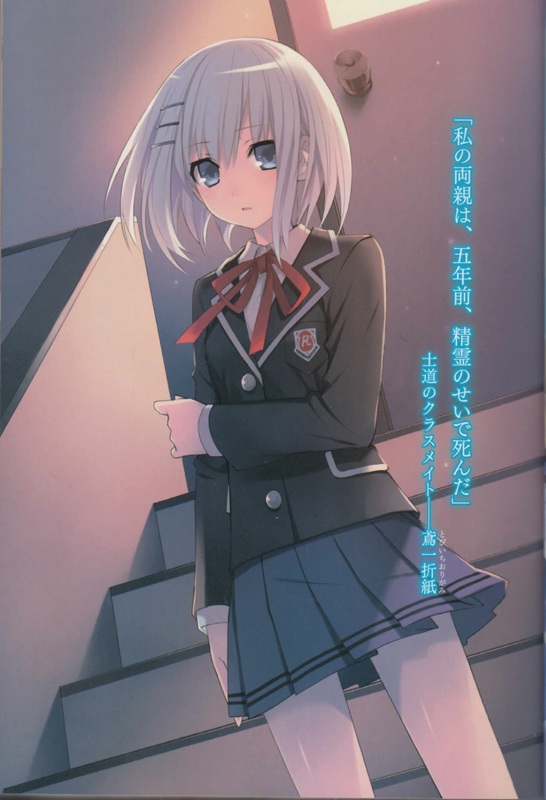 He later discovers from his sister-in-law, Kotori, that the girl in armor is actually one of the so-called “spirits” who in turn are the real reason behind the spatial quakes which occur when they manifest themselves into the world. 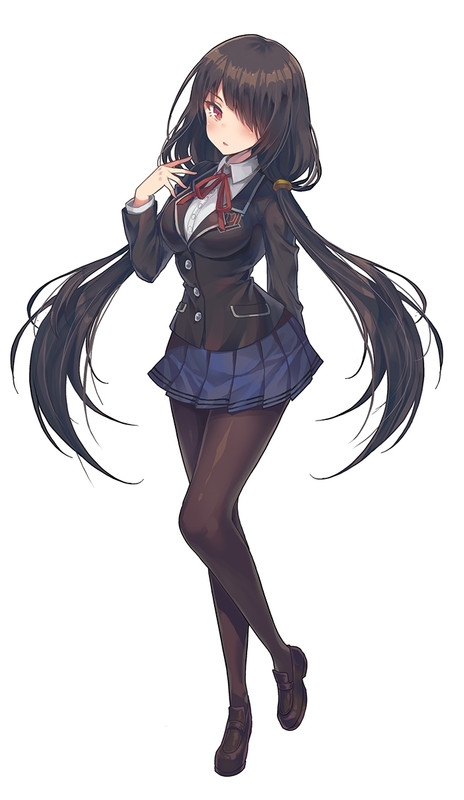 To add to the surprises, Kotori also discloses that she herself is the commander of the airship Fraxinus and a member of the anti-spirit organization, Ratatosk. She later enlists his help in sealing the spirit’s powers thereby eliminating the threat to humankind. 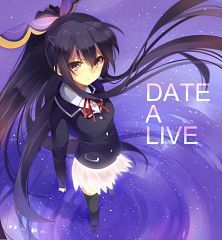 However, there is a catch: he must make the spirit fall in love with him and kiss him, to do so."